By Michelle M. Ng, Ph. D.
There are several common causes of cellular toxicity following electroporation. Here’s a list of the top causes of cell death during electroporation experiments and recommended solutions. Sub-optimal electroporation buffer. Buffers with a high salt content such as PBS, Opti-MEM, and RPMI are also highly conductive and can cause overheating and cell death during electroporation. Switching to a specialized low conductivity electroporation buffer such as Cytoporation Medium T can improve cell viability following electroporation. Cells not transferred immediately to culture vessel after electroporation. If you are electroporating in a buffer other than the complete media used to culture your cells, it is best to transfer the cells from the cuvette to a culture dish containing growth medium immediately after each electroporation. This will minimize stress to the cells. Electroporation pulse voltage is too high. Increasing voltage can boost electroporation efficiency up to a point, however increasing voltage can also increase cell toxicity. To improve viability, decrease the voltage by increments of 10 volts to improve viability. Oftentimes, it is helpful to run an optimization experiment at a range of different voltages and assess electroporation efficiency and viability at each. Electroporation pulse length is too long. Although increasing pulse length can boost electroporation efficiency in some cases, increasing pulse length can also increase cell death. Decrease the voltage and pulse length by increments of 10 volts and 2 to 5 ms when using a square wave generator. Decrease the voltage and capacitance by increments of 10 volts and 100 µF when using an exponential decay generator. Cell density too low or too high. Typically a density of 1 to 10 million cells per ml is optimal at the time of electroporation. However it is always a good idea to test several different cell densities at the time of electroporation for your particular cell type to determine what works best. Optimizing the number of cells to plate for your culture vessel size following electroporation can also improve viability. Passage number too low or too high. 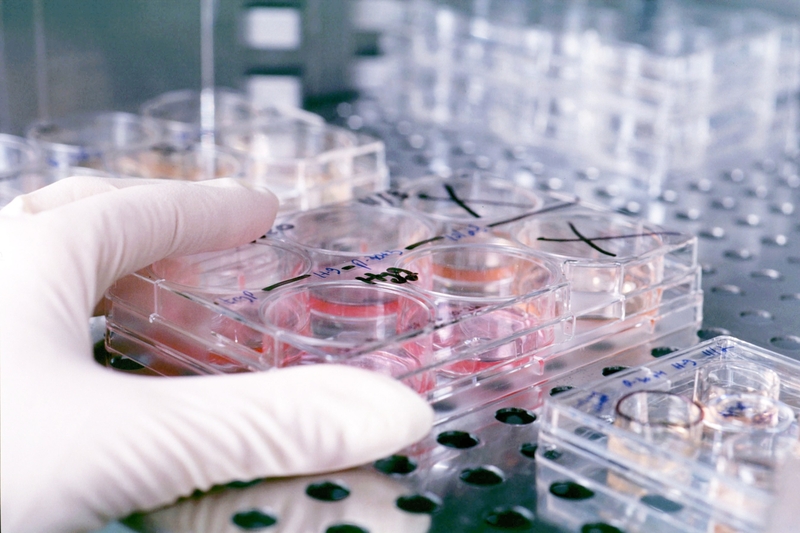 It’s best to allow freshly thawed cells to recover and go through 2 to 3 passages before using them for transfections. Also it is best to avoid high passage cells (> passage 30). Contaminated transfectant. Use highly purified, sterile, contaminant-free DNA or RNA with low endotoxin levels. Contaminating salts, organics (such as ethanol carry over from precipitations and spin columns), endotoxin, or pathogenic microorganisms can contribute to viability issues. Also, it is critical to exclude antibiotics from the electroporation medium and allow adequate recovery time before re-adding selective media post-electroporation. Michelle M. Ng, Ph. D.